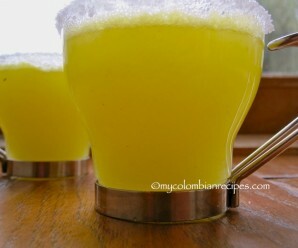 It’s very easy to find fresh squeezed, or beaten, natural juices in Colombia. Batidos o Sorbetes are drinks made with fresh fruits and milk, sweetened with condensed milk or sugar. 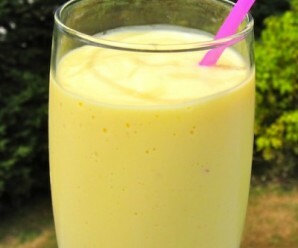 Everything is put in a blender with ice and the result is a creamy fruit drink, similar to a smoothie or a milk shake. 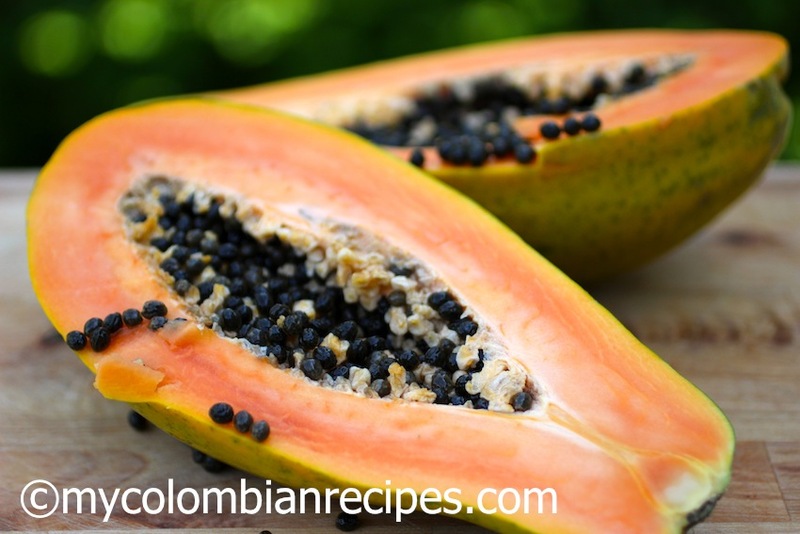 They are made with any type of fruit, and can be found in most Colombian restaurants around the country, as well as in Colombian homes. My mom made fresh fruit juices and batidos o sorbetes for us every day while growing up in Colombia. 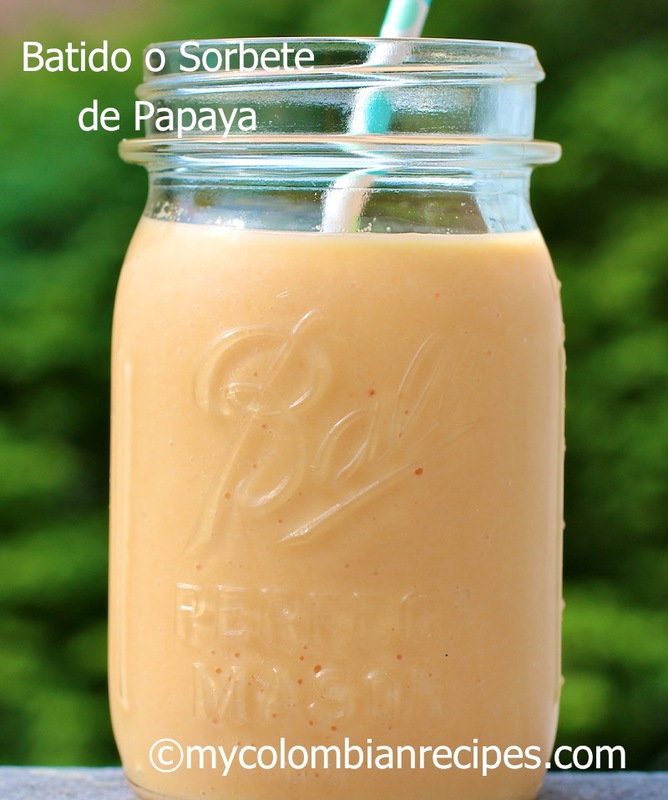 This Batido de Papaya was a staple in my house and sometimes my mom added other fruits like orange or bananas to the papaya to change the flavor and texture. 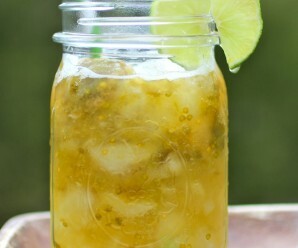 This is a wonderful drink for adults and kids during the summer time. 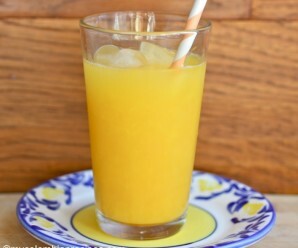 Some of my favorites are Batido de Maracuyá (passion fruit), Batido de Mora (Colombian black berry) and Batido de Mango. Blend all the ingredients in a blender until smooth. Add more milk as needed to reach the desired consistency. Ha ha too funny you posted a smoothie. It sounds awesome, I am a big fan of papaya. Perfectly refreshing for our current hot days. I love the smoothie…we used to have papaya smoothie very often when I was living in Brazil…you just brought me really good memories. That’s a giant papaya! The smoothie must be very tasty. fantastic, i love papaya. but never tried smoothie. Good Lord ! How inviting and honest that smoothie looks ! A must try ! 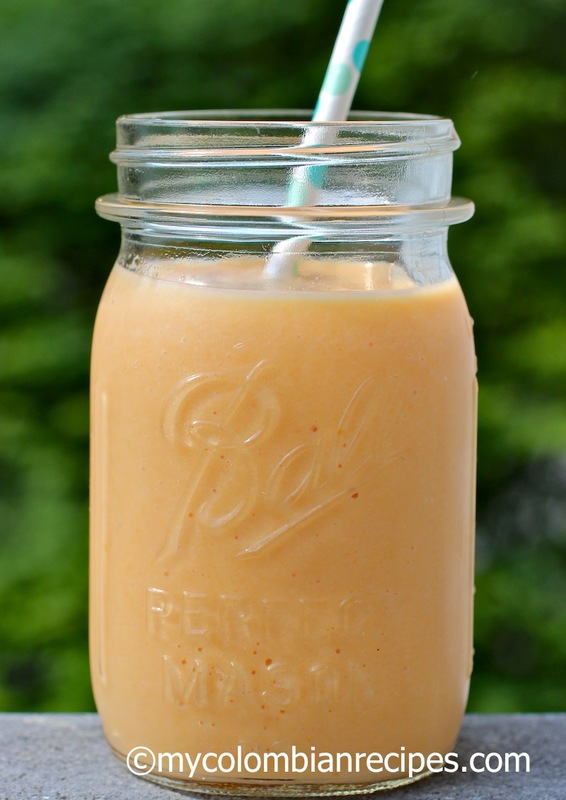 There’s a variation of this recipe; it has hawaiian papaya -which is the size of a hand- (peeled and seeded), 1 glass of milk, sugar to your taste, the ice cubes and the secret ingredient- one teaspoon of vanilla! Blend and enjoy. This recipe is typical of the Santanderes, a region of Colombia near the frontier with Venezuela.